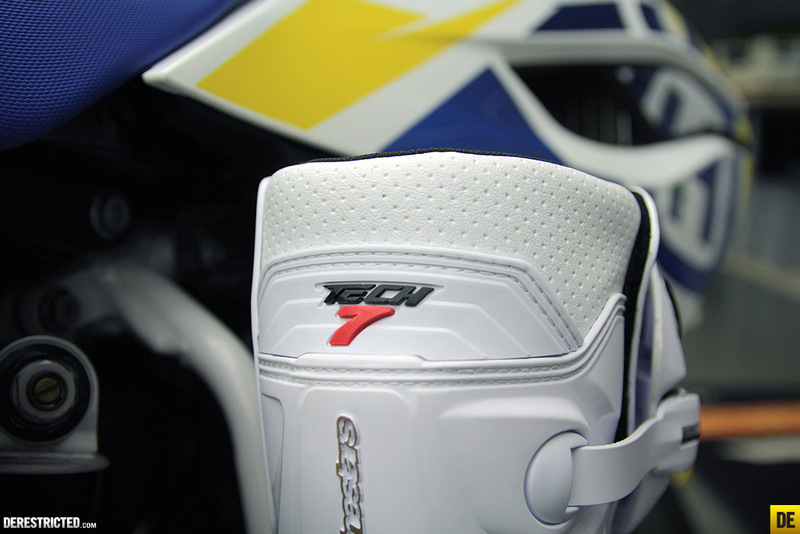 Since I havent ridden in them yet, this is not a review, but just some photos and info about the new Alpinestars Tech 7 boots before I get them all dirty! 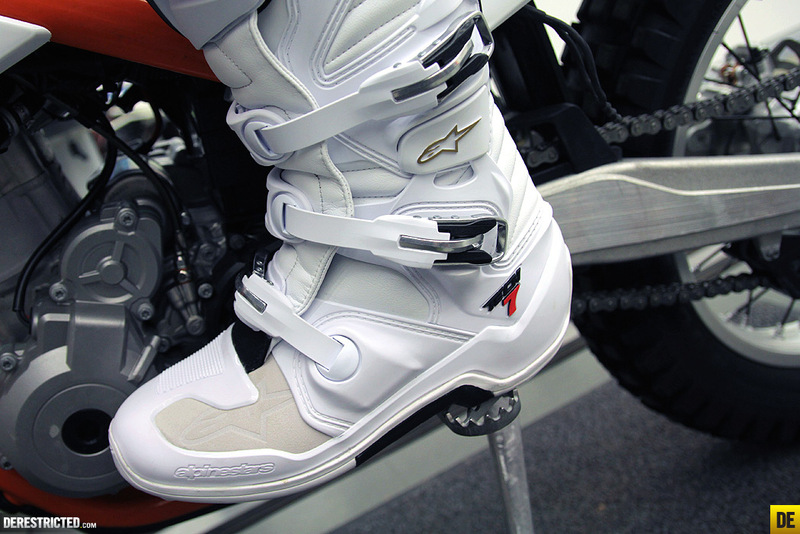 There are so many nice design details on them it will be a shame to trash them, but the life of Motocross boots is not a gentle life. Anyway, the boots look pretty tough and should hold up well. Normally you can just jet-wash them after riding and they look like new for a long time after buying them so I would imagine the same is true with the tech 7’s. I have been wearing tech 10’s for the last 7 years (Tech 8’s before that) which are a great boot, loads of protection and very supportive. I can testify to their strength after having cased a 30m step-up in them with no issues besides a back ache afterwards! 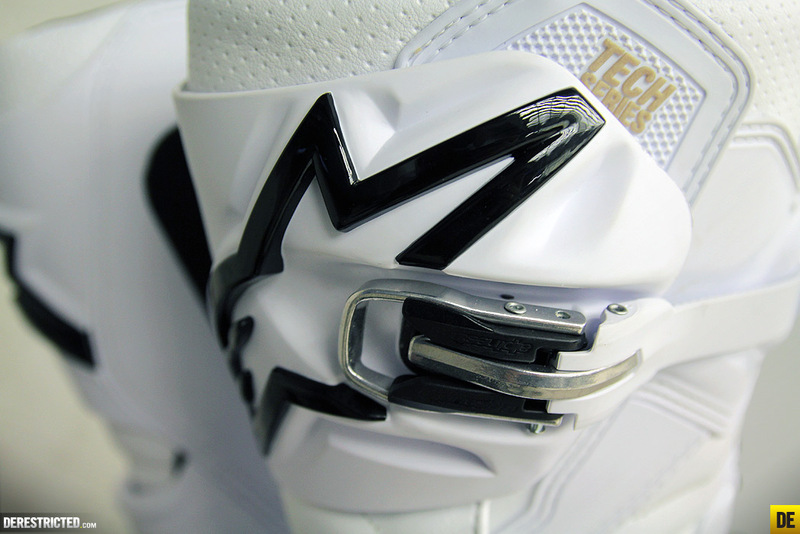 I have only walked around in the tech 7’s, but it is clear that these are way softer with no break in time necessary at all. 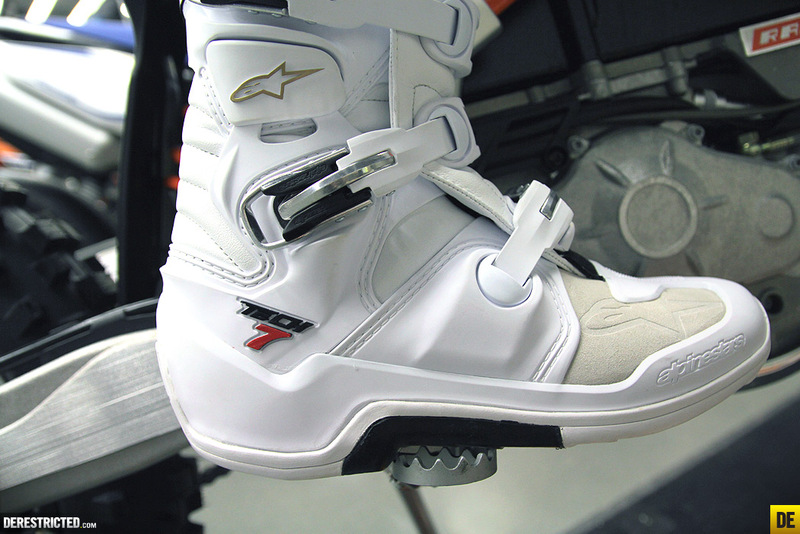 They have some stop limits built-in so they dont flex too far, or in tech speak they have TPU lateral ankle protection which provides a biomechanical link between the middle lateral and the bottom lateral of the boot. The other thing which is immediately apparent is how light and low profile they are. 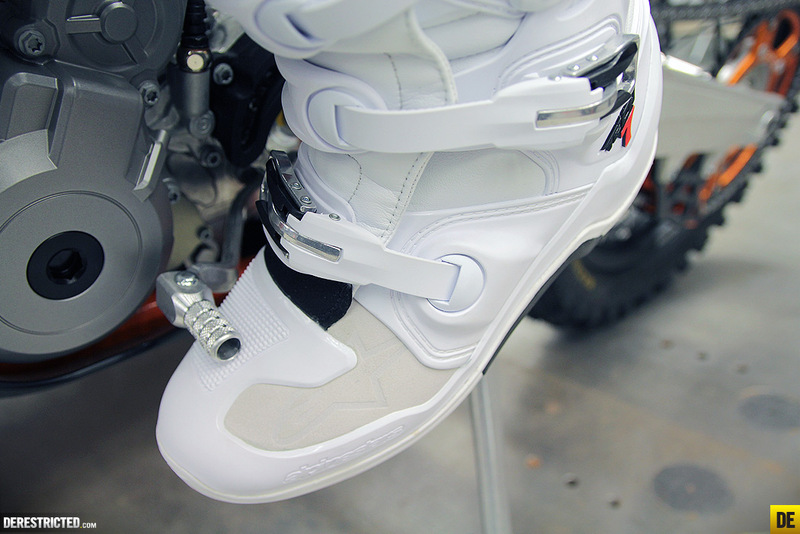 They should be an especially good enduro boot I reckon, but I plan to wear them for everything, including on a street bike which due to the softer flex they should be a lot better for than the tech 10’s. 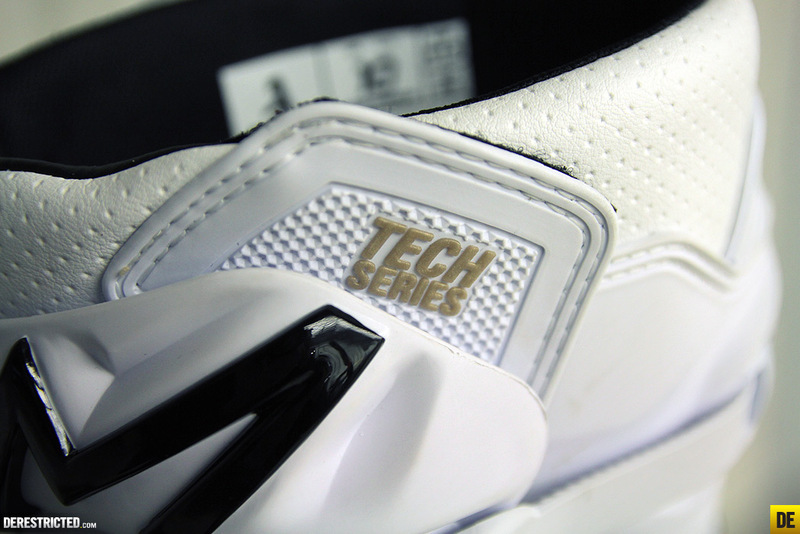 If I am riding a particularly gnarly track with big jumps I may stick with my tech 10’s but that remains to be seen. 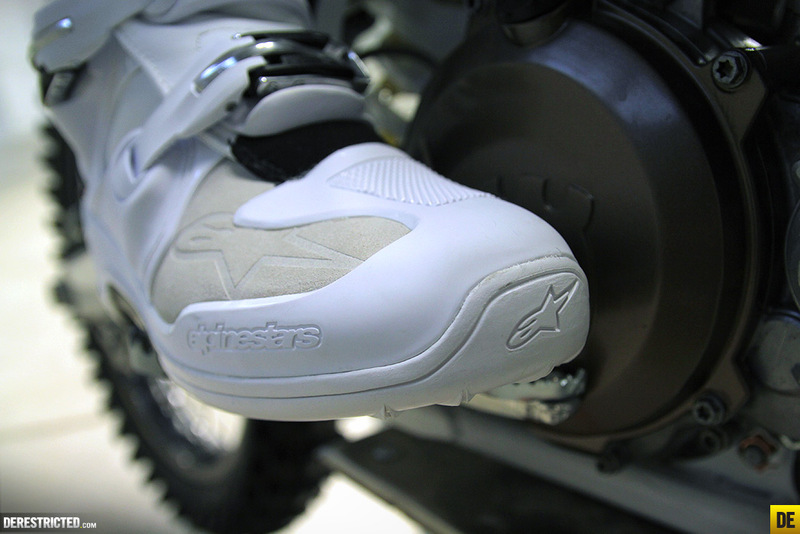 one-piece injected dual compound foot shell with co-injected hard toe protector and integrated steel shank. 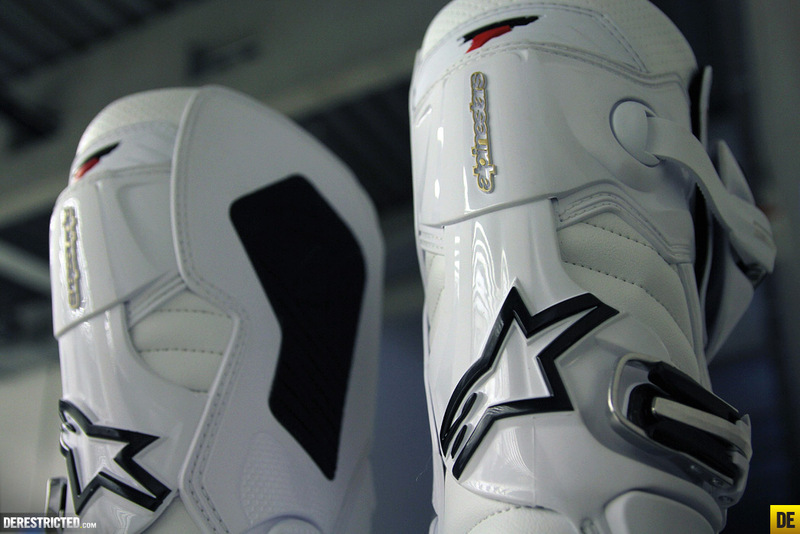 White has been the classic Alpinestars boot color since the Tech 8’s. 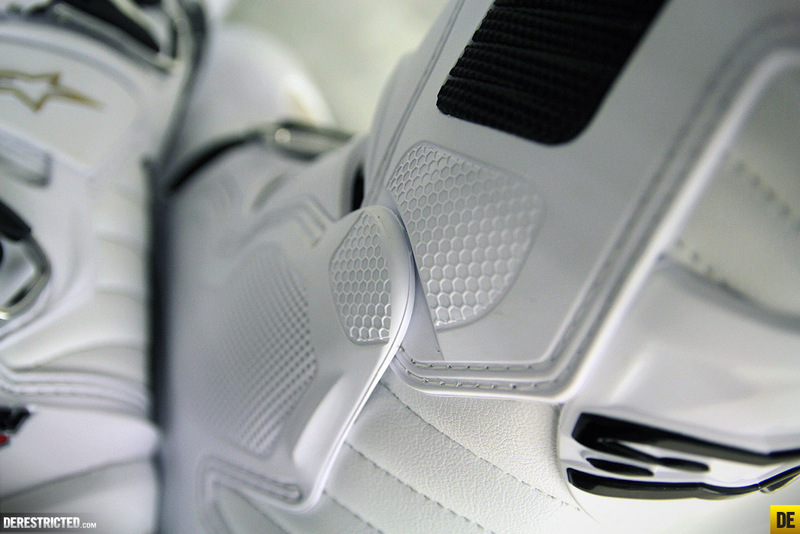 They look good, but I think the black/red/yellow version in the video below look better. 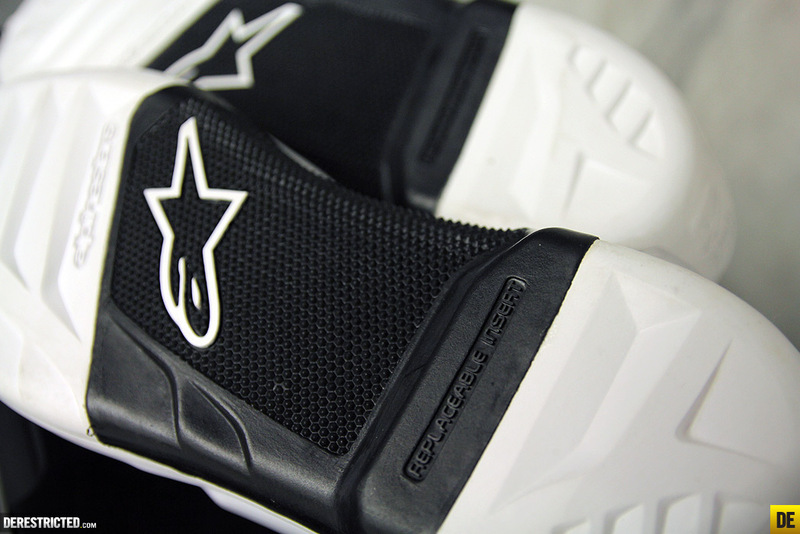 Replaceable insert in the soles. 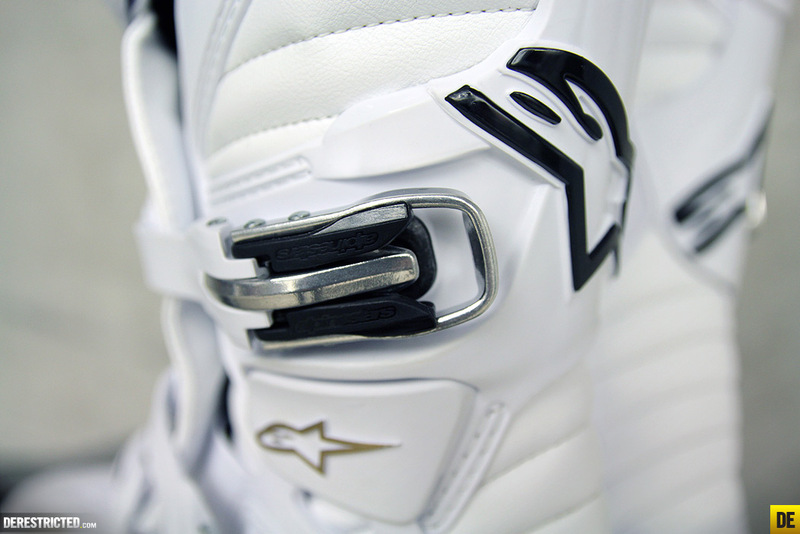 Oh yes, the buckles! 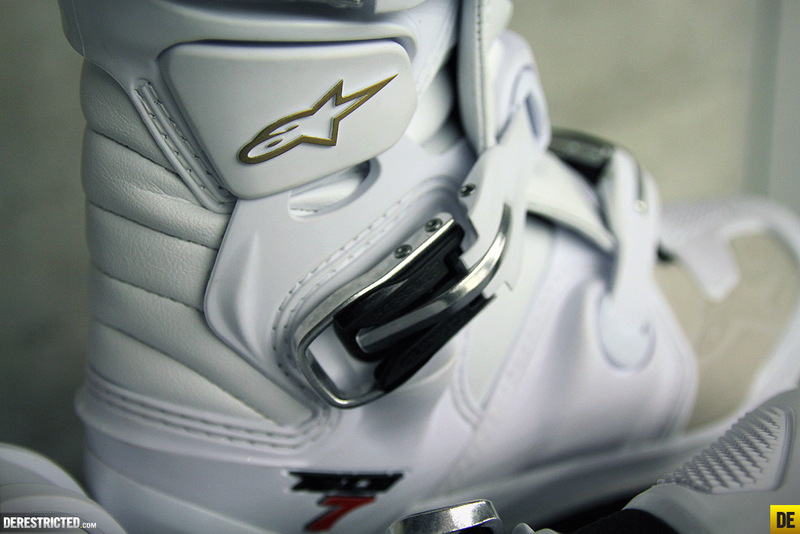 Finally thank the gods, alpinestars have some decent buckles on their boots!!! No more hitting them with a shoe or a mallet or a sledgehammer to close them like in the past! They slot in and shut with such ease that my 3 year old son spent about an hour opening and closing them last night for fun. 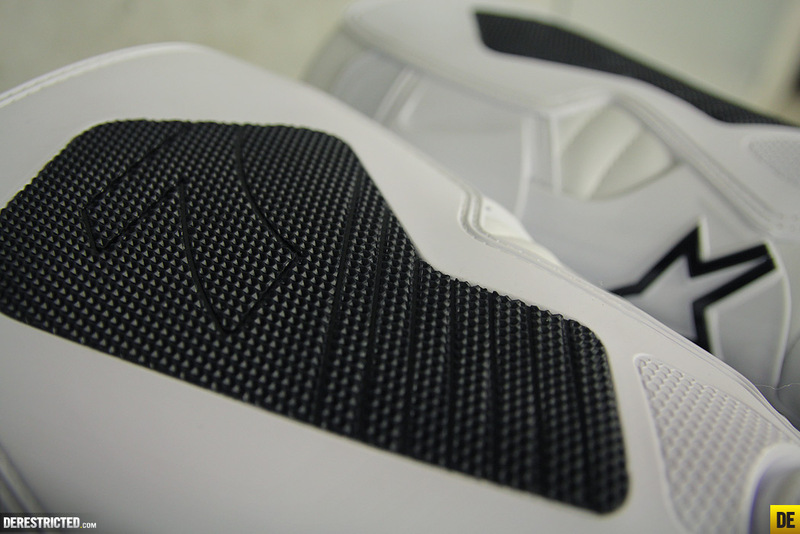 The attention to detail is remarkable for a boot costing 350 bucks. Here are their main features, but if you want to know more I would check out the excellent vid below, he really goes into detail on every aspect of the boot. 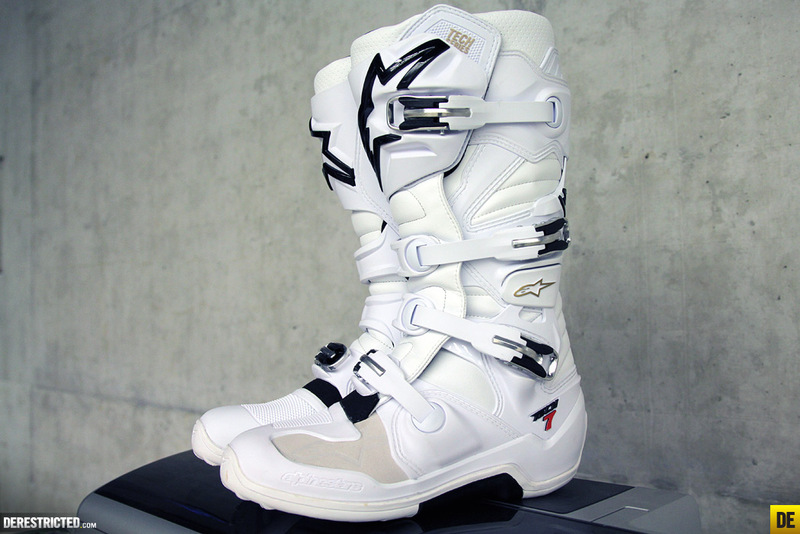 More info on alpinestars website too.